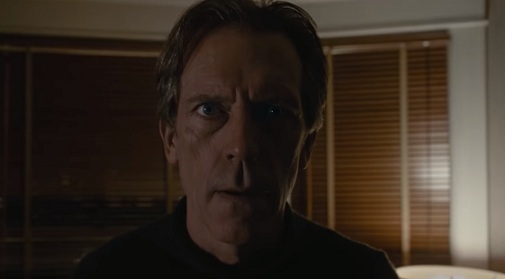 Hugh Laurie reprises his role as Dr. Eldon Chance in the psychological thriller series Chance, which is set to return this fall, on October 11, with its second season. The TV show created by Kem Nunn and Alexandra Cunningham, based on Nunn’s book of the same name, revolves around Chance, a forensic neuropsychiatrist living in San Francisco, who is pulled into his patient Jaclyn Blackstone’s dangerous life of police corruption, manipulation, and abuse. He soon finds himself “forced” to save the woman and himself from her abusive partner, all while dealing with his divorce and secrets from his past. The cast also includes Diane Farr as Chance’s ex-wife, Stefania LaVie Owen as Nicole, Chance’s daughter, Gretchen Mol as Jaclyn Blackstone, Paul Adelstein as Raymond Blackstone, and others. The song used in the trailer for the season 2 is “Hate or Glory” by Gesaffelstein, released in 2013.